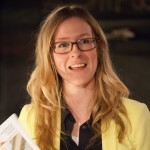 Home » Blog » General » Do We Really Want More Parent-Led Free Schools? Yesterday, in a lecture by Steven Rivkin, I saw data showing how charter schools in Texas gradually transitioned from being opened by small groups of random individuals to predominantly being opened by ‘school chains’ expanding out from already-successful campuses. Rivkin’s initial findings suggest this change has reduced the variance in quality of schools. At the same time, it also looks as if the average quality of new schools has improved. With a tentative finding that schools which close quickly (because they are of low quality) are about the same quality as the average charter school was in 2001. So, what was once an average level of quality of a school is now unacceptable. (Though there are some very important caveats which I hope to blog about at another point). Counter-intuitive to this point, Tristram Hunt has several times this week said that he is less in favour of sponsor-led schools and more in favour of parent-led (and maybe teacher-led ones?). 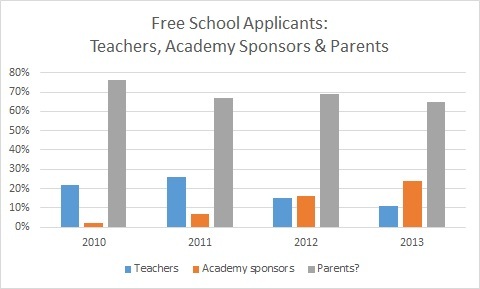 But I wondered: do parents and teachers want to open schools? And are they best placed to do so? Serendipitously, a Parliamentary Question yesterday revealed a partial answer. A good point raised by Sam Freedman, is that many of the people in the grey include community, faith and ‘prospective’ chain groups. Parents will also be in this group but there have only been a few that are genuinely ‘parent-led’. We can also assume the numbers of all these groups will edge down as those academy sponsor/chain groups grow. But this may not be a bad thing. Rivkin’s finding suggest most new openings in Texas are now from chains wanting to expand. 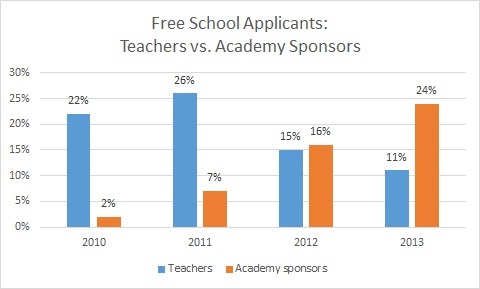 In England, I wonder if the reason why more sponsors are applying for schools is because they are buoyed by prior successes. This is not a bad thing. The Texas data suggests that more good schools expanding, while bad schools exit the market quickly, is what is driving the increase in average school quality. A few things do matter though. First, are the DfE rigorously checking these applications to ensure a chain doesn’t expand unsustainably? Rivkin was concerned that Texas initially allowed chains to expand without any real checks on their quality. A few other US cities have been similarly burned. Second, how will we hold these chains accountable? At present, chains are not checked by Ofsted, and Lord Nash has said there are no plans (and may not even be the legal means) to do so. Third, are we just recreating LEAs? Rivkin hinted at the idea that, after fifteen years of fiddling in Texas, what has effectively happened is that the chains now operate much like school districts. If so, what’s the point? Hence, my next step is going to be analysing (a) who is accepted for application, and (b) whether chains have higher or lower quality than parent, community or teacher-led schools. After all, It’s no use Hunt saying he wants more parent-led schools if those are the ones most likely fail.